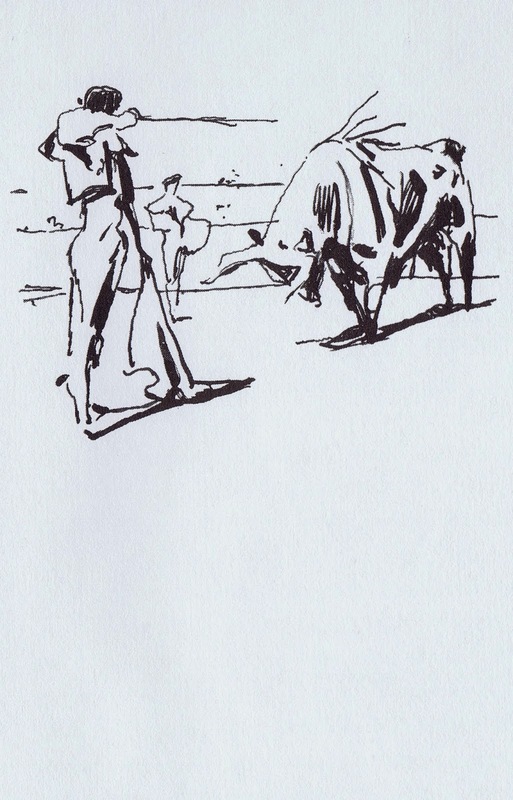 In 1932 Ernest Hemingway wrote the non fiction book “Death in the Afternoon”, which details the ceremony and traditions of Spanish bullfighting. 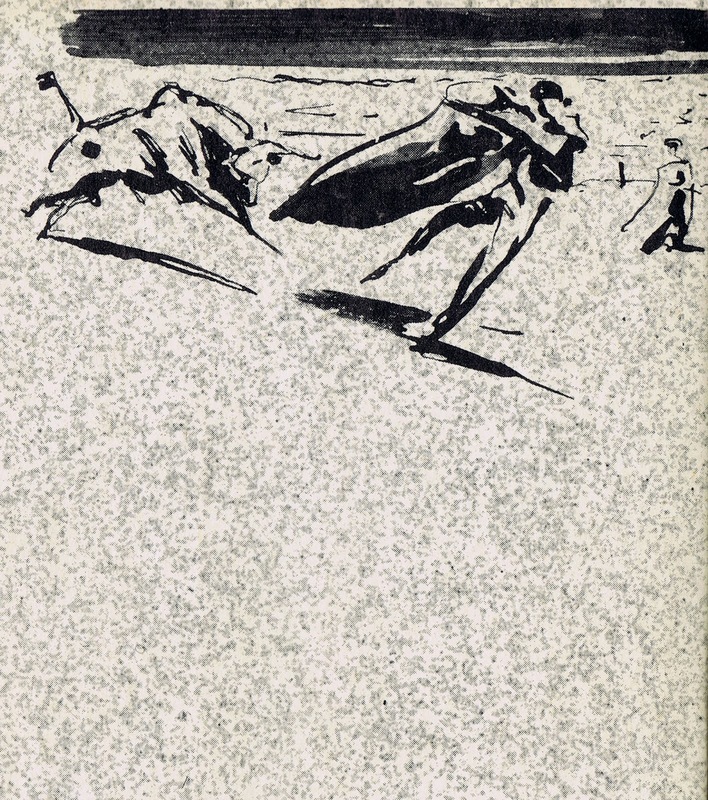 In 1965 Wilhelm M. Busch illustrated the German version, titled “Der Unbesiegte”. 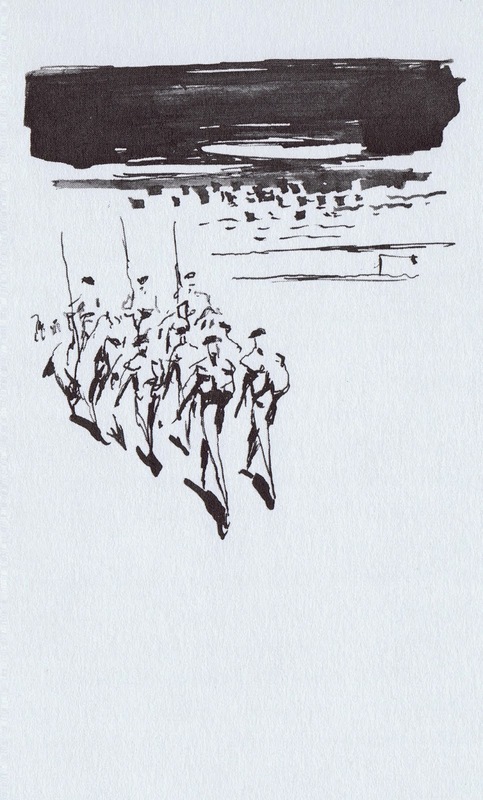 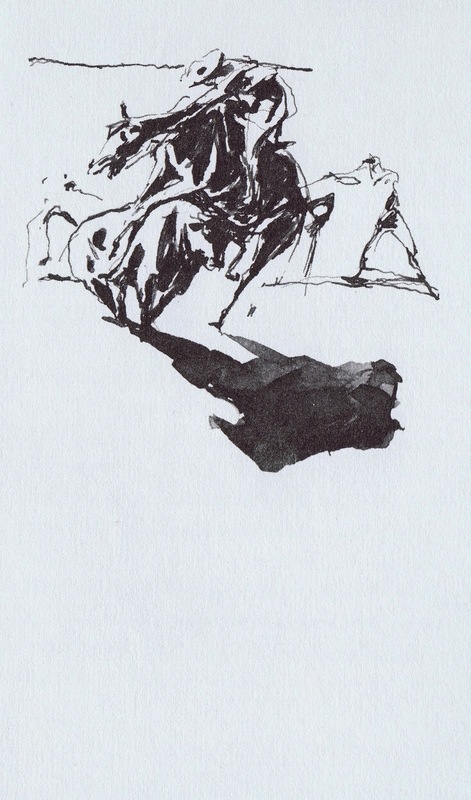 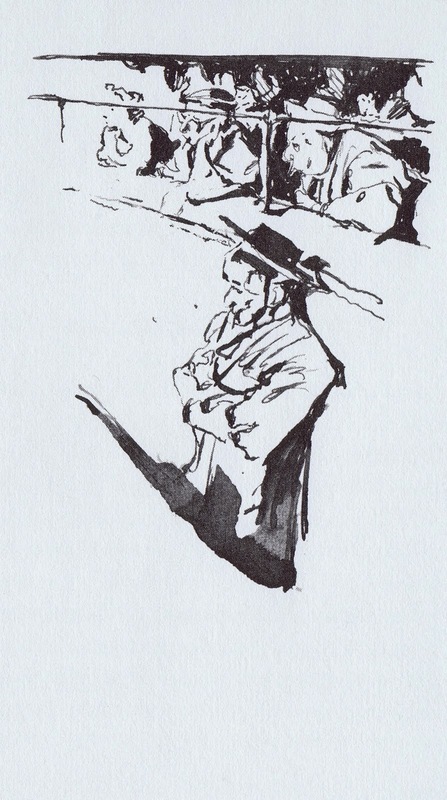 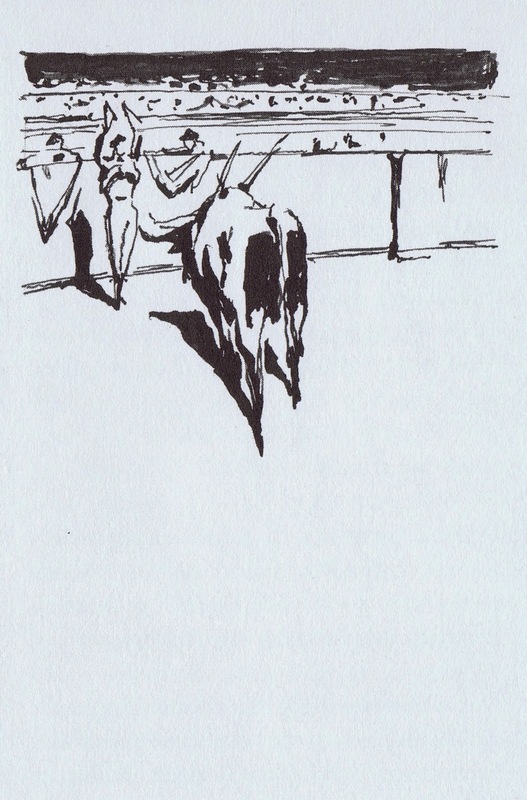 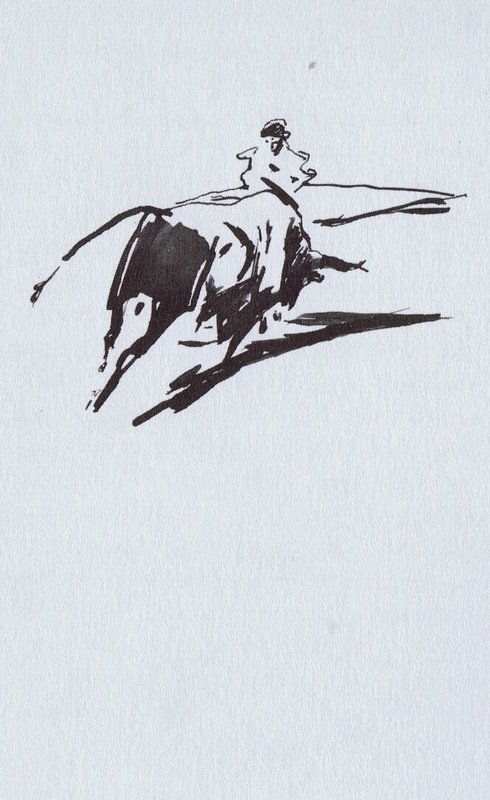 These are small, but powerful brush and pen sketches that capture the intense emotion of the bullfight. 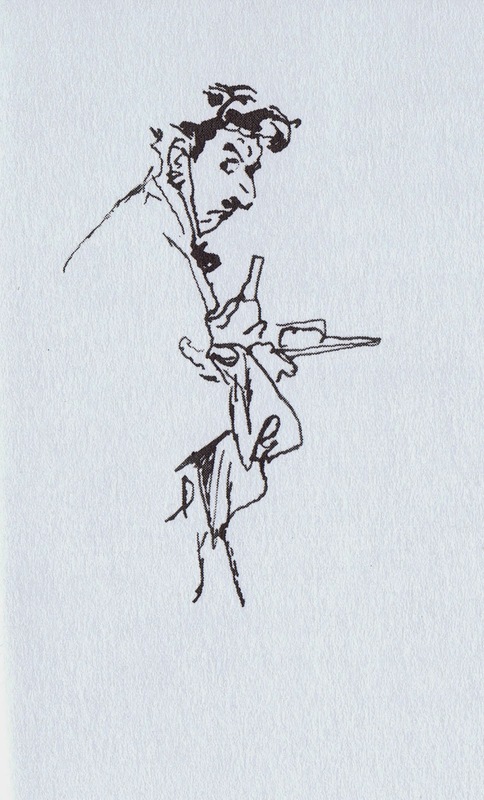 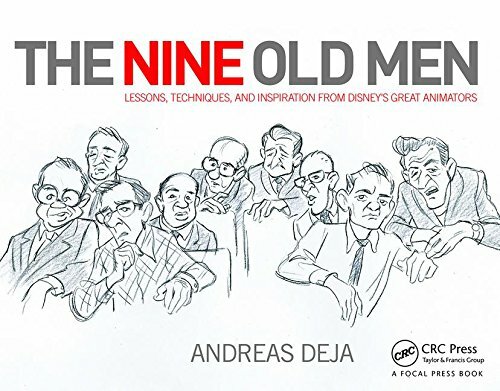 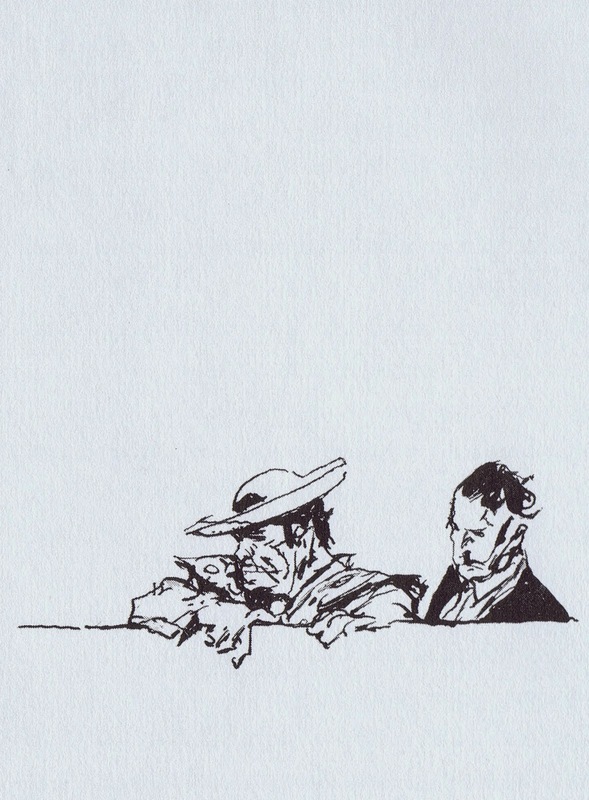 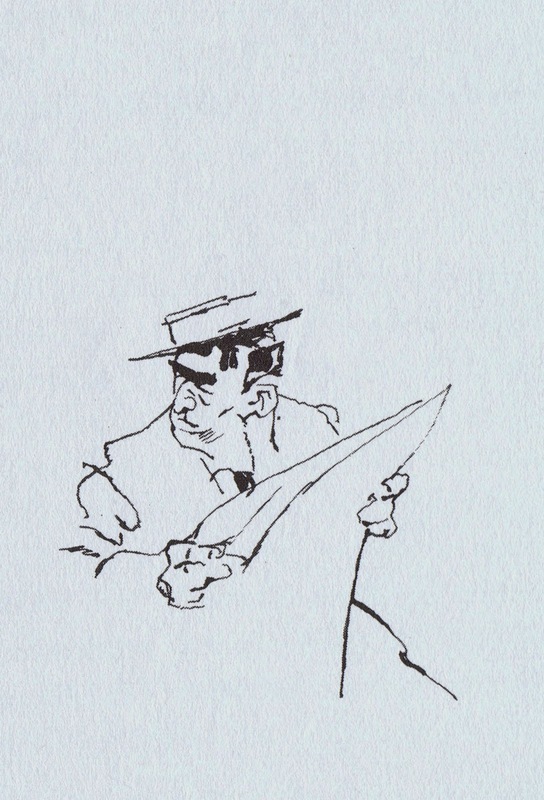 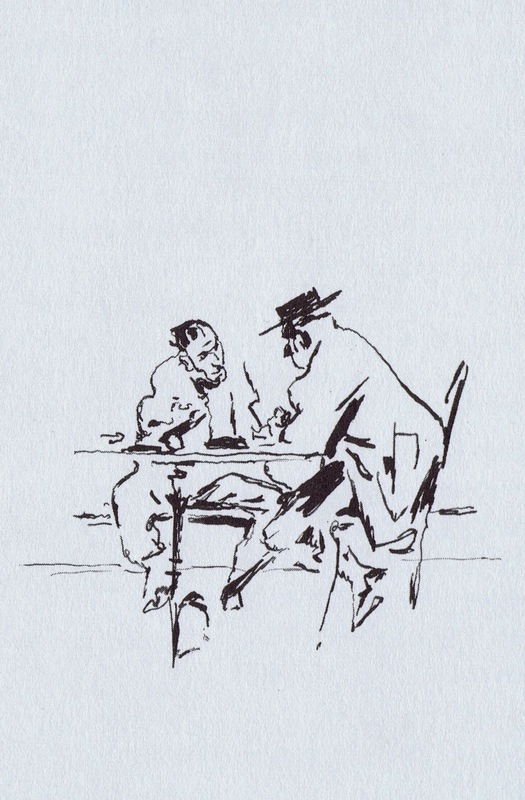 His portrayal of Spanish bystanders is equally interesting, and I love how Busch places his illustrations in the vertical space of each book page.